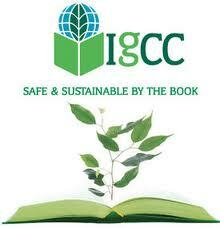 Vapor barrier manufacturer strives to provide better green choices to designers and builders. List of Top 10 States for LEED Green Buildings released? USGBC releases list of top U.S. states for LEED-certified projects in 2011. January 31, 2012 | By Deborah J. Costantini, AIA, and Michael S. Pereira, Assoc. AIA, Hoffmann Architects, Inc.
Class-A commercial building meets sustainability requirements of LEED Program. International engineering firm launches new building sustainability practice. USGBC commends two U.S. cities for their innovation in green building leadership. Strategic partnership expands offering to south and west coast customers. LEED Fellows represent green building industry's most accomplished professionals.